Research shows that virtually every known alcohol related health complication is linked to Acetaldehyde, including hangovers. Independent laboratory tests show that just one capsule of Alcotox is able to reduce 86% of this formidable toxin. The implication to health benefits therefore, are quite significant. Reduced hangover symptoms can now be viewed as a barometer for increased overall health and wellbeing. Do you have a big day ahead of you but feel pressured to socialise tonight? With Alcotox now you can, and still be in great shape tomorrow. More than just a hangover cure, Alcotox prevents one from happening in the first place. It achieves this by its proven ability to target, scavenge and neutralise Acetaldehyde. Contains all 3 Glutathione pre-cursors, the body’s own master anti-oxidant. Enjoy the additional benefits associated with Glutathione such as anti-ageing and improved recovery times. Enhances the body’s natural ability to metabolize alcoholic beverages. 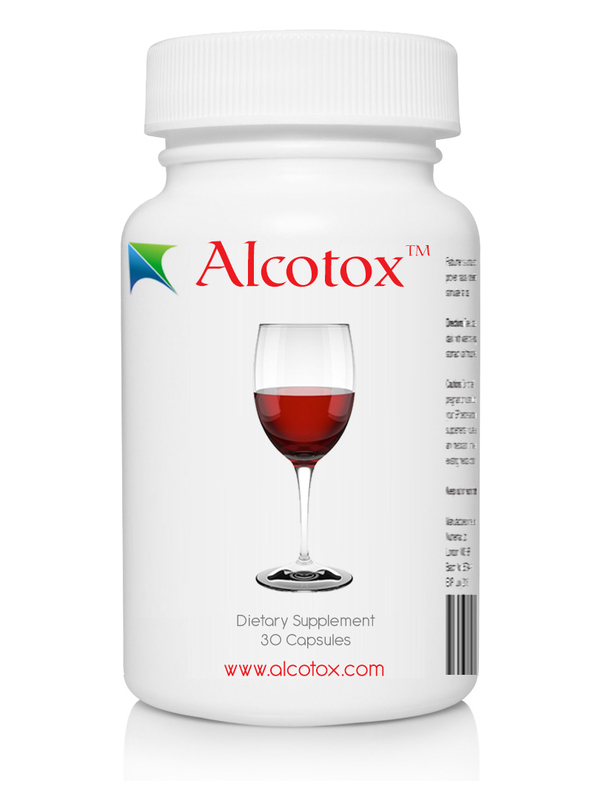 Alcotox provides much needed support for the liver during alcohol consumption. The patent pending formulation contains specific amino acids and vitamins designed to perform specific tasks. Take one capsule per drink to keep up with the removal of Acetaldehyde in real time. Dr I Ambreen of Mayo Hospital writes “The future may see Alcotox as a routine supplement for anyone who consumes alcohol, and may prove to be their savior.